Union Carbide India Limited’s (UCIL’s) Bhopal plant operated for barely 15 years (1969-1984) but has left legacies like no other industrial plant. 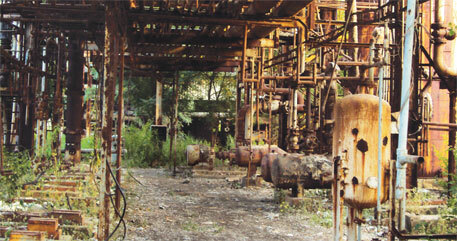 This plant caused the world’s worst industrial disaster that killed thousands. People affected by the gas leak on the fateful night of December 2-3, 1984 are still suffering and dying. People of Bhopal are also suffering another legacy of UCIL: for 15 years, UCIL dumped toxic wastes generated for manufacturing carbamate and organoc hlorine pesticides at different locations inside and outside the plant. These wastes are still lying at the site, polluting the environment and threatening the health of local community. Why have we not been able to remediate the site and clean the surrounding environment even three decades after the tragedy? There could be several answers—of varying significance. But the fundamental answer is all those connected with the issue—the government, NGOs, technical experts, pollution regulators and industry never came together to develop an action plan to clean the UCIL site. This was the task that we at the Centre for Science and Environment (CSE) decided to undertake at the beginning of the year. CSE has been involved with this issue since 2009 when we undertook a laboratory study to understand the level of contamination in and around the UCIL site. To authenticate our study, we collected samples jointly with the Central Pollution Control Board (CPCB). Tests conducted at CSE and CPCB labs showed widespread contamination of soil and groundwater with heavy metals, organic chemicals and pesticides. We also analysed 15 other studies on pollution at the UCIL site conducted by various government and non-government organisations. We found, to our surprise, a high degree of convergence in the findings. For example, all studies confirmed that soil at the UCIL site was contaminated with chemicals that can be traced to the manufacturing process in the plant. All studies also indicted the plant for contaminating groundwater in the surrounding areas. It was difficult to believe the current state of inaction by the authorities, given that all large-scale studies conducted by the government bodies confirmed contamination. The situation called for bringing everyone on board to develop an action plan. We invited all those who had worked on the Bhopal issue or had experience in contamination/decontamination issues to a round table: experts from Council of Scientific and Industrial Research (CSIR) institutes such as NEERI-Nagpur, IICT-Hyderabad, IITRLucknow; those from technical institutes such as IIT-Bombay, IIT-Kharagpur, IIT-Madras and IIT-Roorkee; and companies that specialise in managing hazardous waste. Representatives from the affected community were present. CPCB officials were also present for a few sessions. But the Madhya Pradesh government declined our invitation to participate in the round table. On April 25-26 this year, the group deliberated the current state of contamination, immediate and long-term measures to prevent it from spreading, gaps in previous studies and remediation options. This was easier said than done. The discussions in the first few hours were fiery. It seemed we would fail to reach consensus even on the simplest issues. But later everybody realised this was an historic opportunity to develop a realistic course of action. The expert group developed a time-bound action plan on how the toxic waste should be disposed, how soil and groundwater should be decontaminated, how the site should be remediated and what should be the fate of the UCIL site. On August 1, we unveiled the action plan in Bhopal. We delayed its release by a month because we wanted to present it to the Madhya Pradesh government and bring it on board. But the ministers and secretaries concerned refused to meet us, saying the matter is sub-judice. As we continue to share the action plan with everyone, we hope the government is considering it seriously and the process of decontamination kicks off soon. We believe if the action plan is implemented, we can clean the environment in five years and protect lives. This will also help heal some of the wounds. Very well said Chandra Ji, that nightmare of 1984, could never be forgotten, the death of those innocent people with such high misery, shakes the heart of humanity. kudos for the efforts you have taken about bhopal action plan. I read your article in Down to Earth (p.56, isse Sept. 1-15, 2013). As instructed in the same visited the weblink to search for downloading & studying the action plan. However, could not find any link to download. Kindly inform how to get your action plan. Kindly arrange to send it to my email id.